In an effort to create a safer environment for pedestrians, bicyclists, and non-motorized traffic, a Maine senator has introduced a bill to toughen crosswalk regulations. The bill, known as An Act to Improve Safety and Clarify Responsibilities of Pedestrians and Bicyclists, is sponsored by the Bicycle Coalition of Maine and was submitted by Sen. Amy Volk. The central component of the bill would compel vehicles to stop, not just yield, to pedestrians in crosswalks. Lawmakers hope that the change would remove ambiguity regarding vehicle behavior, leading to less confusion and danger for those using the crosswalks. Not every crosswalk accident fatality or injury is the fault of a vehicle, making a lawsuit more complicated than one might suppose. However, a Maine bicycle accident lawyer will be well-versed in the complexities of the law where such accidents are concerned and can offer guidance if you have questions about pursuing a personal injury lawsuit. Approximately 25% of the pedestrians hit every year in Maine are hit in crosswalks, a statistic that prompted the introduction of the bill. While pedestrians, bicyclists, and others who use the crosswalks have a responsibility to look before they cross, and bicyclists must obey traffic laws, it is important that drivers take extra care not to hit vulnerable parties in these locations. If the proposed bill becomes law, drivers will be compelled to come to a full stop and remain stopped until the pedestrian has completely finished crossing. However, the current law allows for greater ambiguity. For instance, the driver must provide 3 feet of clearance for a cyclist or pedestrian, but within these parameters can proceed if he or she believes the bike to be out of range of the car. Such ambiguities can create challenges for a lawyer who wishes to represent an injured cyclist. 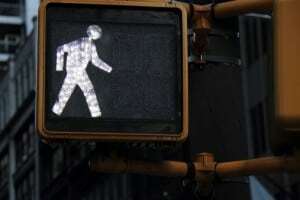 Seeking representation for a Maine pedestrian accident lawsuit? If you are seeking representation for a pedestrian accident lawsuit is Maine to be prosecuted under the current legal statutes, you would be well-advised to contact an attorney from Hardy, Wolf & Downing. Representing clients since 1976, the attorneys from our firm understand the legal technicalities necessary to successfully represent a pedestrian, bicyclist, or other non-motorist who has been injured in a road accident. Every year, more than 250 pedestrians are hit in Maine. Unfortunately, 8 pedestrians died under such circumstances last year and even more lost their lives in previous years. An average of 2 cyclists also die every year. Although questions of liability differ from case to case, there are many accidents in which a cyclist or a pedestrian has suffered injury or wrongful death because the vehicle responsible was driving recklessly or disobeyed traffic rules. If you have been involved in such an accident in Portland, Lewiston, or other surrounding areas in Maine, contact Hardy, Wolf & Downing at 1-800-INJURED for a free consultation in order to clarify your legal options.